The simplest way to integrate your favorite like buttons on your shop in seconds. 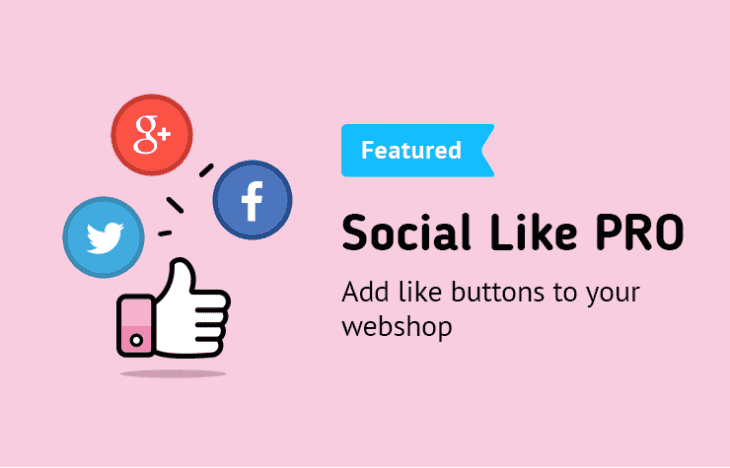 Add Facebook, Twitter, Pinterest, Google plus, Vkontakte and more Like buttons with one module. Simple installation, easy to configure and a wide variety of buttons makes make this module must-have. You get all the popular like buttons in one single module with a simple checkbox to turn them on. It can’t get any easier then this. You have a choose for positioning your buttons with a style. They can float on the left or right, or be positions on the top or the bottom of your page. You get to pick! You can place the like buttons anywhere in the shop using the built-in positions and layouts of opencart. Check the checkbox for the button you want. Choose icon type: standard, square etc. Set one background for all buttons or "go rainbow" with your like buttons. Turn on/off shadow and set its color. Sort by the Drag & Drop method.